protection technology that includes; four-way stretch, durable water repellent treatment and waterproof/breathable element protection core. Combined with all the features of a dry top, adjustable Pu wrist seals, front fastening neoprene waist, arm pocket and shock cord adjustable neck, complete with 50+ UPF protection. 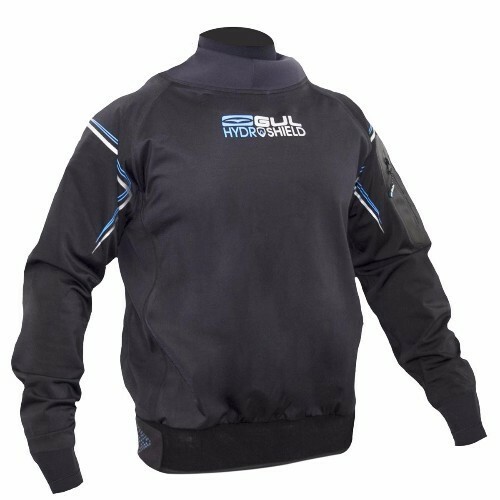 The Hydroshield Drytop the perfect choice for the all-round watersports enthusiast who participates in a variety of disciplines such as SUP, Sailing and Kayak/Canoe.